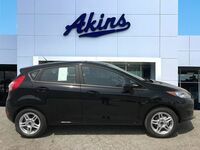 The new Ford Fiesta lineup at Akins Ford near Atlanta, GA, is the perfect example of how great things come in small packages. That’s because, while the 2018 Fiesta lineup is the smallest 2018 Ford model lineup, it still has everything you need to handle your daily commute or take care of all those pesky errands. 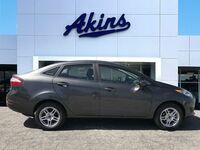 In fact, if you’ve got a 2018 Fiesta sedan or hatchback, that daily commute and those pesky errands will be more fun than ever before. But you don’t have to just take our word for it. Instead, we’ve set out to prove that point with this 2018 Ford Fiesta versus 2018 Toyota Yaris head-to-head model comparison. In it, you’ll see the 2018 Fiesta lineup has the power, efficiency and capability you need at a price any budget can afford. 120 HP & 112 lb-ft. Standard Power Ratings 106 HP & 103 lb-ft. If you check out the entirety of our Fiesta versus Yaris comparison table, you’ll notice the 2018 Ford Fiesta lineup holds many advantages over the 2018 Toyota Yaris lineup. And once you see all those, you’ll have to go back and double-check the first row of the table, which shows the starting price of each lineup. That’s right, even while offering more power, more engine options and more passenger space, the new Ford Fiesta lineup is still more affordable than the new Toyota Yaris lineup. With that out of the way, let’s now take a closer look at those advantages we mentioned. For starters, the 2018 Fiesta lineup offers more standard power than the 2018 Yaris lineup – 120 horsepower and 112 pound-feet of torque to 106 horsepower and 103 pound-feet of torque. The 2018 Fiesta lineup also offers more available power, as the 2018 Yaris lineup has no available engine to speak of. Additionally, the new Ford Fiesta lineup provides 85.1 cubic-feet of passenger space, while the new Toyota Yaris lineup provides only 84.4 cubic-feet of passenger space. 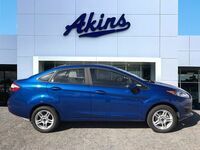 To learn more about the 2018 Ford Fiesta lineup, please reach out to our friendly staff here at Akins Ford near Atlanta, GA.